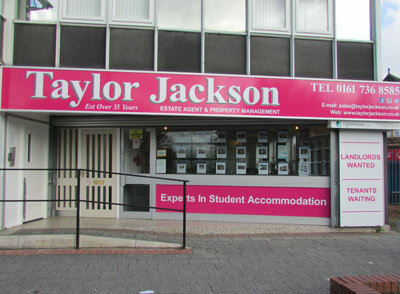 Taylor Jackson are a privately owned business first established in 1981. We are Estate Agent and Valuers based in the heart of the Salford community and have provided a first class service for almost 30 years. Our experienced staff have a vast knowledge of the local property market. We will be pleased to provide advice on your individual personal property requirements, whether they be in relation to buying, selling or letting. Our service is professional in its approach yet retains a personal and friendly touch which is often lacking in larger concerns. Call us now for further details of our comprehensive service and competitive charges.